You’ll develop the techniques and knowledge to equip you for professional practice. Thinking critically about performance will deepen your understanding of your craft. You will work with professional practitioners on UEL’s academic team and through master classes delivered by visiting professionals. You can study for our MA degrees even if you’re in full-time employment or looking after a family. Both courses run full time or part time and teaching takes place in the evening to accommodate those with other time commitments. Your tutors and lecturers will encourage you to be daring. Everything we do at our well-equipped University Square Stratford (USS) site is geared towards helping you develop your individual and creative potential in the world of music, dance, applied theatre and performance. This may include working with organisations such as Stratford Circus or the National Youth Theatre on large-scale productions, or spreading your wings with performances at lively east London venues in Shoreditch and Brick Lane. Throughout your course you’ll take part in masterclasses and workshops with industry professionals, work on industry briefs with arts production companies, or get hands-on practical experience at COLL!DE, one of Britain’s most vibrant and innovative annual student-led dance festivals. You’ll be taught in hi-tech studios and specialist performance spaces by professional practitioners with major reputations in writing, performance, production and applied practices. Our unique, trailblazing Urban Dance course is a perfect example. We pioneered it, and it’s still the only course in the UK to focus on urban dance styles from around the globe. Thanks to our reputation, you’ll have numerous opportunities throughout your course to work with acclaimed professional artists, such as renowned choreographers Kenrick Sandy (Boy Blue) and Hofesh Shechter, as well as top companies like the Half Moon Theatre Company, the Hackney Empire and the London International Festival of Theatre. Since the MA I have gone on to develop pieces initially developed within it, direct new writing within London, create new productions with my theatre company and extend my practice into the beginnings of further study. UEL’s MA helped give me the space and support to research and discover more about the work I want to create. The School of Arts and Digital Industries (ADI) Dance, Music and Theatre facilities are located in the newly built University Square Stratford building. The multi-purpose studios have fully sprung professional grade dance floors, mirrors, ballet bars and high quality lighting, HD video and sound infrastructure. These two spaces are dedicated to teaching Dance and Movement performance as well as being spaces for professional performance production. All of our studios are available for rehearsal use by our student body outside of lectures as well as on our graduate rehearsal support programme. The Black Box studio is a professional theatre production space. Equipped beyond industry standards with high quality lighting, sound and HD video infrastructure. The Black Box studio is acoustically treated and has a fully sprung dance floor. This is a space designed for full technical, performance and teaching flexibility, devoted to producing high quality performance work. The spacious Live Rooms contain a Boston GP-218 concert grand piano, Yamaha Motif 8 synthesiser workstation, Yamaha Stage Custom drum kit and various percussion instruments. Control Room A is kitted out with Apple Mac Pro with Logic Studio 2, Avid Pro Tools 10, Abelton Suite 8 and Waves Diamond plugins, Native Instruments Maschine 1.8, Novation Impulse 25 USB/MIDI keyboard controller, Euphonix MC Mix and MC Control v2 control surfaces giving a total of 12 available faders, 2 x Focusrite Octopre MkII 8 channel microphone preamplifiers with a total of 16 mic/line inputs, MOTU 2408 MK3 24 channel digital audio interface and PMC TB2 transmission-line monitor loudspeakers.Whilst Control Room B houses our advanced Pro Tools Suite: Apple Mac Pro with Avid Pro Tools|HDX 10, Logic Studio 2, Abelton Suite 8 and Waves Diamond Plugins, Native Instruments Maschine 1.8, Novation Impulse 25 USB/MIDI keyboard controller, Avid HD I/O audio interface, Avid C|24 24 fader control surface with 16 microphone pre-amplifiers, Universal Audio 6176 valve channel strip (microphone pre-amplifier, EQ and compressor/limiter) and Genelec 8040A active monitor loudspeakers. In addition, students also enjoy access to 7 Practice Rooms and an Equipment Store with a large array of musical instruments and recording equipment for hire. The results of the 2014 Research Excellence Framework (REF), a six-yearly national review of higher education research, underlined the quality and impact of our work. An impressive 50 per cent of the research we’re undertaking in the field of Music, Drama, Dance and Performing Arts was judged to be either ‘internationally excellent’ or ‘world-leading’. Our Centre for Performing Arts Development (CPAD) has become an international centre for research in the performing arts and supports research that is concerned with political, philosophical, cultural, ethical, socially-engaged and community applied issues. All of our academics are teachers, practitioners and researchers. Dr Sheila Preston, our Head of Performing Arts, co-published with Tim Prentki The Applied Theatre Reader, which is the key text book on undergraduate and postgraduate courses nationally and internationally. 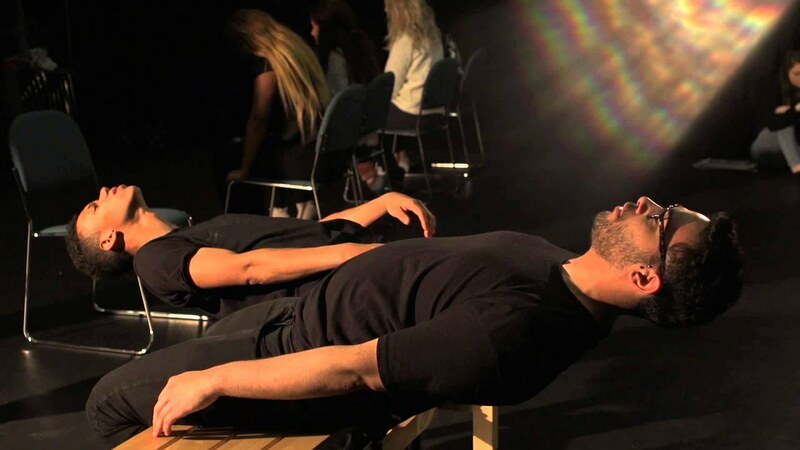 Dr Dominic Hingorani, Course Leader for the MA Acting and Theatre Directing degrees, is also an accomplished writer, director and producer who runs his own theatre company and recently toured the country with a production of his latest play, Guantanamo Boy. He’s also co-artistic director of Brolly Productions - a cross-arts performance company that engages new and diverse audiences. He has long-standing research interests in theatre for young audiences and British Asian theatre, focusing on issues of marginalisation and exclusion from the narrative of the nation. He’s the author of British Asian Theatre: Dramaturgy, Process and Performance. Lecturer Jorge Lopes Ramos is joint artistic director of internationally acclaimed Zecora Ura, an independent theatre company based in east London and Rio de Janeiro since 2001. Jorge creates playful theatrical structures that allow for a participatory, immersive and interactive experience. He focuses his professional practice and research on the unspoken contract between the audience and the actor, which is underpinned by his work on the dramaturgy of participation. Our courses will set you up to take full advantage of the demand for innovation in creative and technical practice across the private and public sectors. We’ve produced actors, arts administrators, teachers, broadcast journalists, advertisers, designers and scriptwriters, music producers, sound designers and DJs. One of our Applied Theatre graduates went to work as an assistant director for National Theatre of Wales and now runs his own theatre company. One of our Urban Dance graduates featured on TV’s Got to Dance. Some of our music graduates have signed to an independent record label. When you consider the range of careers that just a small cross-section of our students have gone into since graduating, anything seems possible. We always keep your future career in mind. We’re affiliated to the Association of Illustrators and the Associations of Photographers, while our photography department also has industry links with Ilford, Canon, Calumet, Metro and Manfrotto. You can follow our students who have gone on to succeed in the arts world in diverse roles such as choreographers, actors, dancers, composers, sound artists, songwriters, arts education officers, event organisers, teachers and community artists. paid training opportunities in creative companies and supporting them into full-time employment. before. We believe that both the stage and the company should reflect the diversity of our audience. Blue Sky Actors are Stratford Circus Art Centre’s resident theatre company for actors with learning disabilities and difficulties. visual exhibitions and we present work for families, young people and adults. We support national, international and East London artists to create new work that is relevant to local people, connecting artists and audiences to help them find authentic voices. A women’s theatre company changing lives and changing minds – on stage, in prison and in the community. Haringey Shed is an inclusive theatre and performing arts company for children and young people. We provide a range of term time after school activities and holiday programmes as well as outreach work in the community, working in local schools, nurseries and community centres. Hackney Children’s Theatre is east London’s newest project presenting theatre for children. The Tricycle views the world through a variety of lenses, bringing unheard voices into the mainstream. It presents high quality and innovative work, which provokes debate and emotionally engages. Located in Brent, the most diverse borough in London, the Tricycle is a local venue with an international vision. Bobby Baker & Daily Life Ltd.
Daily Life Ltd creates powerful art that changes the way people think about mental health. Lewisham Youth Theatre delivers participatory drama and performance projects with young people aged 3-24 who live or learn in Lewisham, with the aim that everyone who takes part will gain increased wellbeing and life chances. We believe that participation in theatre leads to the development and empowerment of young people. We commit to ensuring that this opportunity is available to all young people in Lewisham and that no-one should be excluded because of economic or social background. Celebrating the very best of children’s theatre and work for young audiences at our Limehouse venue. Croydonites is a festival of contemporary theatre and performance from artists based in Croydon and around the UK. Boundless Theatre Company is a designer-led organization that believes that theatre needs to be inquisitive and innovative. We represent the diversity of our community by collaborating with multi-ethnic and multilingual artists from all over the world. We are committed to creating productions of new and existing work that pushes the boundaries of cultural conception by reinventing stories, and by the creation of imaginative, visually mesmerizing theatre. Magic Me is an arts charity that brings the generations together to build a stronger, safer community. Our projects often link unlikely partners. Young people aged 8+ and adults aged 60+ team up through shared, creative activity. Intergenerational groups meet on a weekly basis in schools, museums, older peoples clubs, care homes, community and cultural organisations. Projects are led by our team of freelance creative artists: musicians, dancers, photographers, printmakers, writers and drama specialists. They design activities to stimulate conversation and an exchange of ideas. Participants are often diverse in culture and faith as well as age group. Our multi-sensory process of working creatively should be of value in itself. Using a full range of technical resources including lighting, sound and special effects the children will be encouraged to get involved with all aspects of the workshop. They will touch, move, listen, play and create, gradually converting their workspace into an imaginary environment. The Unicorn is the UK's leading professional theatre for young audiences, dedicated to inspiring and invigorating young people of all ages, perspectives and abilities, and empowering them to explore the world – on their own terms – through theatre. At the Young Vic, we tell stories that change the way people look at the world. Our shows are created by some of the world's great artists - of this generation and the next. With roots deep in our neighbourhoods, we reach out to theatre-makers across the globe. We have the most diverse and engaged audience in London, enjoying work of the highest quality at low prices. In our award-winning super-flexible theatre, you'll never feel you're in the same place twice. PAL (Participatory Arts London): a collective voice for people that design, produce and facilitate participatory arts in London. Reflecting on our practice; pursuing peer-to-peer learning. Our vision is of a world where people are no longer constrained by narrow perceptions and expectations of gender, and where diverse gender expressions are visible and valued. We work predominantly with the trans community and those who impact on trans lives; we particularly specialise in supporting young trans people aged 8-25.